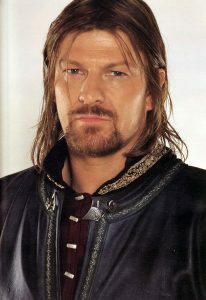 Sean Bean To Star in ‘Jupiter Ascending for the Wachowski Siblings!!! The Wachowski siblings are hard at work on their new sci-fi epic ‘Jupiter Ascending‘, and they have cast Sean Bean to star in their new flick. Lana and Andy Wachowski are hot off their press tours and resting at least for a bit now from their recent ‘Cloud Atlas‘ film, which we just found out that the blu-ray release of that film has been delayed a a few weeks. Bean will play Stinger, which is described as a Han Solo type of character. Bean joins Channing Tatum, Eddie Redmayne, and Mila Kunis in the film. I wonder how Bean will die in this one, as he dies in pretty much every film he’s in. I still get misty eyed with his death in HBO’s ‘Game of Thrones‘. This flick is shaping up nicely and I have no doubt that the Wachowski’s will do a stellar job. 4K UHD Review: ‘Jupiter Ascending’! Check Out The Amazing Trailer for ‘Jupiter Ascending’!! Blu-ray Release Date For ‘Jupiter Ascending’ Is Set!!! This entry was posted on Wednesday, February 6th, 2013 at 1:01 am	and is filed under Film, News. You can follow any responses to this entry through the RSS 2.0 feed. You can skip to the end and leave a response. Pinging is currently not allowed. « Fox is Rebooting ‘Hitman’ with Paul Walker! !